Systematic theology is a response to the Apostle Paul’s Scriptural exhortation “to rightly divide the word of truth.” In his book Made in the Image of God author Reid A. Ashbaucher responds to this call, adding “precept upon precept, line upon line” – as he gives the reader clear reasons for the “hope that lies within him.” This theological treatise provides the reader with a broad and detailed exposition of several key Scriptures delineating specific attributes of God; a study which, in turn, illuminates the nature of human beings, who, according to the ‘word of God,’ have been created in his image. Beginning by laying down the basic building blocks of Biblical truth, the author draws from “the knowledge base of Scripture” to define God’s fundamental nature. 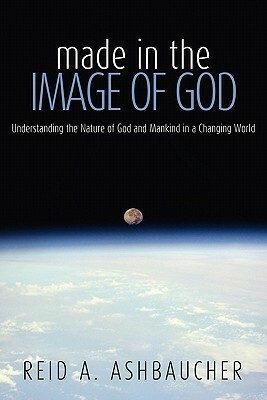 This first part of the book entitled “The Image of God” entails detailed descriptions of God’s personhood and unity. After carefully expressing the nature of God, the author proceeds to explain how this knowledge contributes to our understanding of “The Image of Mankind”; a section in which Ashbaucher examines the nature and personhood of human beings in relation to their Creator. Finally, in part three, he uses the concepts established in the previous chapters to discuss how Christians, that is, those who have been restored to their rightful status as God’s children (through the regeneration of the Holy Spirit) reflect the image of God. Early in the book Ashbaucher introduces a new insight that illumines the concept of God’s personhood. He states: “The purpose of this chapter is to establish the fact that within the Godhead, personhood lies with the concept of the soul.” Here the author argues that God’s “soulhood” (a neologism he creates for the purpose of presenting this new notion) is the source of God’s personality. Later, towards the end of the exposition, he explores the notion that Christ possessed “the sinless spirit of man” (that which was formerly called Christ’s “human nature”): thereby adding yet another category to theological study. According to Christ, “Every teacher of the law who has been instructed about the kingdom of heaven is like the owner of a house who brings out of his storeroom new treasures as well as old." By introducing these new metaphysical considerations into the field of Systematic Theology Ashbaucher proves to be such a teacher, fulfilling this prophetic word. True to the fundamental tenet of Biblical exegesis, namely, to let Scripture speak for Scripture—expounding and explicating ‘the word of God’ with ‘the word of God’—the author clarifies and expands essential theological classifications. Constructing his categories one concept at a time, and defining each term according to the internal logic of Scriptures, his interpretations prove to be sound and consistent with the “whole counsel of God.” Subsequently, Made in the Image of God presents the reader with a clear and organized account of the basic doctrines constituting orthodox Christianity. Both edifying and educational, Bible students of all ages will benefit from Ashbaucher’s book. Although not intended for advanced theological scholars, the text is ideally suited for a first level course in Christian doctrine and Biblical exegesis. More importantly, those who read the book will gain new insights into the nature of God and man. Sign into Goodreads to see if any of your friends have read Made in the Image of God.